Lets just start off with a definition of “off-piste” because I’ll admit I had no idea what the title of this book (novella really) was referring to. away from prepared ski runs. so as to deviate from what is conventional, usual, or expected. I know there are people out there who always want their books to be really realistic and not all convenient with enough happily ever afters to go around. I’m totally not that person. I like happy endings, I like Christmas, I like this book (err- novella). But then! 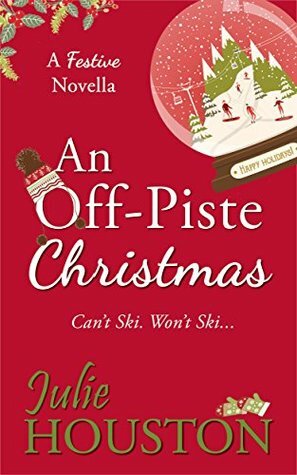 Then, you read a book like this fine novella and think- “Well, her daughter is dating her best friend’s previous lover and father of her baby and they are all going on a fancy schmancy Christmas skiing trip in Italy together, even though she hates skiing and it all works out for them,” my totally normal family will be fine. Would I recommend it? It’s goofy and funny and crazy and scandalous and *spoiler alert* ends happily. While I know there are scrooges out there who don’t approve of such things, I thought it was an excellent quick (Did I mention it was a novella? You can totally fit in in your reading schedule this month!) Christmas read! Julie Houston is Yorkshire born and bred. She lives in Huddersfield where her novels are set and her only claims to fame are that she taught at ‘Bridget Jones’ author Helen Fielding’s old school and she was rescued by Frank Bough when, many years ago, she was ‘working as a waitress in a cocktail bar’ at the Kensington Hilton in London. She now teaches just a couple of days a week but still loves the buzz of teaching junior-aged children. She has been a magistrate for the last fifteen years, and, when not distracted by ebay, genealogy (so time consuming but so interesting – she recently discovered her husband is descended from the poet Shelley and the Duke of Milan!!) and crosswords, she spends much of her time writing. Julie is married, has a twenty-one-year-old son and eighteen-year-old daughter and a mad cockatoo called Lincoln. She runs and swims because she’s been told it’s good for her, but would really prefer a glass of wine, a sun lounger and a jolly good book. I always head straight for books set in World War 2, and this book has so many good reviews that I couldn’t wait to start it. I’m afraid I was a little disappointed by it, though there is much to commend, too. 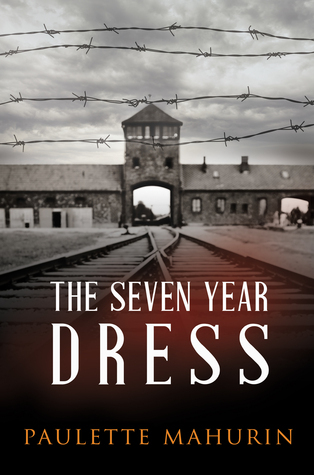 In the present day, student Myra rents a room from Helen Stein; after a while, Helen reveals all that she suffered as a Jewish girl living in Berlin during the war and, later, in Auschwitz. I thought the parts in the concentration camp seemed the best researched, treated with sensitivity, not sensationalised, and would certainly serve as an education for anyone who doesn’t know about the atrocities commited by the SS. The build up of anti-semitic feeling in Germany is portrayed well, as is the bond Helen formed with a friend in Auschwitz. Earlier on, though, there are parts that seem unlikely, at best. Helen’s friend Max is homosexual. As a thirteen year old, he talks about this to Helen. I doubt very much whether a boy of that age from a traditional family background in early 1930s Europe would have even acknowledged such sexual preferences to himself, let alone talked freely about them. There were other attitudes and phrases that I felt came from a more modern era. I also doubted that Max would have had access, later, to the high level German campaign secrets that he revealed to Ben and Helen. Then there is the bear rooting about in the ‘trash cans’ outside the farm buildings in Brandenburg. There have not been wild bears in Germany for nearly 200 years (I looked it up). The other thing I wasn’t keen on was the sexually orientated passages, which I thought were tacky; it’s possible to write about a girl becoming a woman, and longing for love, etc, without it reading as though it’s aimed to titillate. There is a fair bit of historical fact woven into the novel, some convincingly, other parts clumsily. I liked the epilogue, I thought it was a nicely written, suitably poignant ending. I can see from the Amazon sites that this novel has been received very well by many, and I wouldn’t not recommend it, but for me it was just okay. Miss Daisy Lawton is living in a different world altogether. Full of the joys of spring, she’s young, pretty, well to do and on her way to meet her best friend from school, Letitia Simpkins. The two girls have vastly different backgrounds – Daisy is secure in the love of her family and the knowledge life only promises good things, such as being in love, shopping and parties. Whereas Letitia has a tricky and strained family life, at the beck and call of her parents and only a step up from the servants. The only light at end of her very dark tunnel is a well-timed meeting with librarian, Sarah Lunt, who is of the opinion ladies should be able to study and train for a profession. 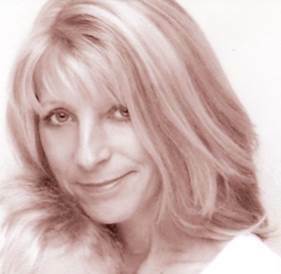 Letitia herself loves learning and believes there should be more to life than waiting for a man to offer marriage. As in her previous books, Carol Hedges’ vivid and engaging prose recreates the atmosphere and flavour of Victorian London and its inhabitants evocatively, so that I was transported back in time immediately. The story gives considerable realisation and understanding of life at that time, across the many societal levels of the population. The characters are portrayed extremely well, including the secondary ones, and whether they’re likeable or not they draw the attention. Lachlan Greig is a wonderful addition to the stories, I like him a lot, and it was good to get reacquainted with Stride and Cully. The plight of, and non-existent civil rights for, women in Victorian times is highlighted, not only by the machinations of Daisy’s mother and Letitia’s horrible situation but also with those who are forced, for whatever reason, to seek the services of the so-called ‘baby minders’. 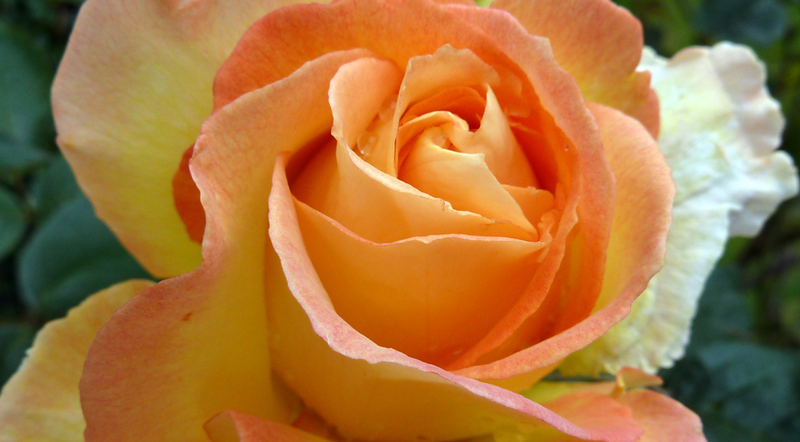 People who are at best unscrupulous, and at worst guilty of mass infanticide. The obviously in depth research needed for this story must have been heartbreaking. I’m loving these books and am very glad to know there will be another. 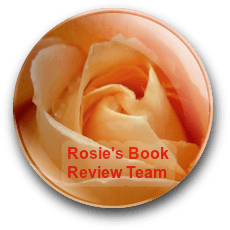 Reviewed for Rosie Amber’s book review team and based on an ARC from the author. This does not affect my opinion or the content of my review. Kali’s Wrath is a Sci-Fi novel based on the TV series Stargate and is a new companion adventure to the shows for the SG-1 team. The book opens with a prologue for a mission to P3X-418 and standard recon for SG-7, however they are attacked by invisible beings called Reetou, and temporarily saved by some Jaffa. The Jaffa belong to the Goa’uld Kali, whom they call The Mother Goddess, more Reetou take out the Jaffa who then try to capture SG-7 and only Captain Patel makes it home. With her she brings Kali’s first Prime who took a blast which saved her life. SG-1 are sent in but O’Neill, Carter and Jackson become trapped when explosives send the gate plunging into an ice cold sea. Trapped on Imphal they are then kidnapped by Kali herself who wants Carter to help with a weapon and Jackson to open peace negotiations with the Reetou. A rescue mission is planned with the added bonus of help from the Tok’ra and Master Bra’tac making this an action packed episode. There were clever back stories informing the reader about the System Lord Kali and how she fit into the many Goa’uld leaders, as well as enough background on the lead characters for first time readers to feel involved, but not too much to bore dedicated fans of the TV series. The hottest toys of the Christmas Season are the Playground Network dolls. They contain a worldwide social network for children. Except, the network is controlled by a ruthless businessman with dreams of power. To reach his goals he turns to the occult. Will our children make up his personal army? Could we have an enemy soldier in every home? The Playground is suitable for more mature readers, due to violence and mature themes. This book introduces Tommy Fazio, seemingly a ruthless and greedy business man with a plan. Three different plot lines – cleverly built – guide you through the story; meet Chloe, Gina and Clovis – be intrigued. With The Playground, C. S. Boyack provides three cleverly elaborated plot lines, each of them drawing you deeper inside the story. I was drawn into the plot lines right away – very close to the respective protagonists; sometimes a creepy sensation. Each of the plot lines ‘felt’ different; resulting in a very intense story. 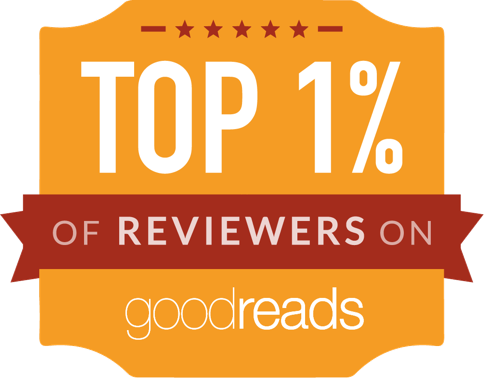 I had a great time reading The Playground. It is a very enjoyable read. 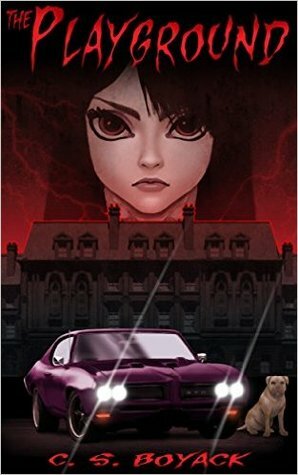 This is for you if you like paranormal/supernatural stories with a streak of horror, very likeable characters and food for thought. This is a book to read again. Highly recommended. I’ve read Carol Hedges’ three Victorian murder mysteries and loved them; even though I am not a fan of YA books I love the whole post apocalyptic genre, so was keen to give this a go. In this future world all countries are one, with one president, and peace reigns. 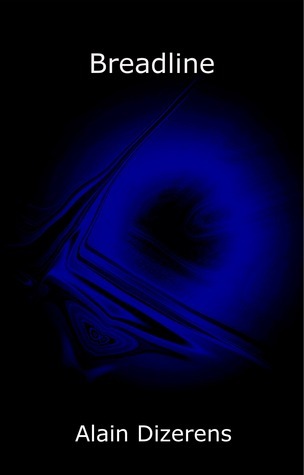 This follows a cybercrash in which the computer systems of the world were wiped out within a couple of hours, and also the effects of climate change which has altered the entire landscape of the planet. The story centres around Will and Amber. Will is popular, clever and sought after; Amber is a non-conformist with strange intuitive capabilities. Oddly attracted to each other, they come together to investigate the truth behind the death of Will’s father and possible government conspiracies. As always, Carol Hedges’ characters are immediately real and three dimensional, the dialogue sharp, realistic and often funny; there’s a definite element of dry humour throughout this book that I liked very much. However, I would have liked to know much more detail about how the current situation came to be, and how the people now live, how the world had changed as a whole; at the beginning I couldn’t quite work out what was going on, when and where it was supposed to be taking place, etc, though some of my questions were answered fairly soon (by Mr Neots, the boring teacher, a great character! ), and more later. 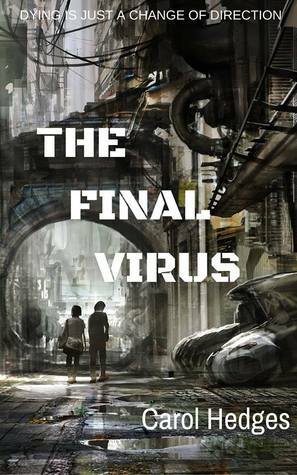 The Final Virus is a good mixture of the sci-fi thriller/adventure and believable relationships between the teenage main characters, and I think YA fans of the genre will enjoy this series very much. It took me a while to get through this book, mostly because it is so descriptively rich that it was like eating a double chocolate fudge cake with dark chocolate icing: you can only digest a little at a time. In any event, I recommend Breadline. I know many of Rosie’s followers will enjoy it, even in small bites. 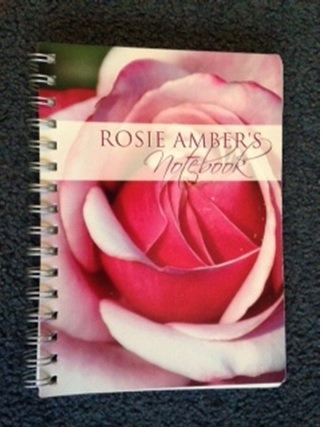 Bittersweet Flight is book #2 of a family saga involving the Roberts and Simcox families from Horwich, near Bolton. Book 1# A Suitable Young Man began the tale. Bittersweet Flight takes on the story of Sally Simcox and Joyce Roberts and can be read as a stand alone, but to get the most from the story I suggest reading A Suitable Young Man first. Both books are set in the 1950’s. Sally Simcox fled to Blackpool away from a one sided love interest and taking with her a personal secret, just off the train she is knocked over and rescued by an RAF serviceman. He takes her to a nearby café to get over the shock and introduces himself as Phil Roberts. Finding herself sharing a cuppa with the brother of the fellow she’s running from, makes Sally flee. She finds a job as a chambermaid and soon gets invited to a dance at the local RAF camp. She meets Phil again and a friendship begins to form although Phil already has a girlfriend. Back in Horwich Joyce Roberts, Phil’s young sister is struggling with her parents ban on seeing older boy Dave Yates, very much in love they discuss the idea of eloping. They meet up in secret but Joyce is hounded by bully boy Jud Simcox who lives out his image as a thug when he beats up Dave. In Blackpool, Phil and Sally’s friendship is tested by Sally’s big secret, but she finds support from Betty and Bob who run a B&B and offer her a job when she needs it. Lots of nostalgia from the era from Teddy Boys to the Suez Crisis. 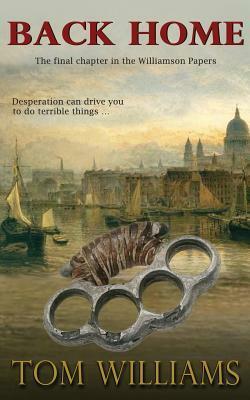 A good read for those who enjoy a historical based Family Saga. There is so much written and on television about the Yorkist side of the Wars of the Roses, I find, but less about the Lancasters, so this filled in many gaps in my knowledge. 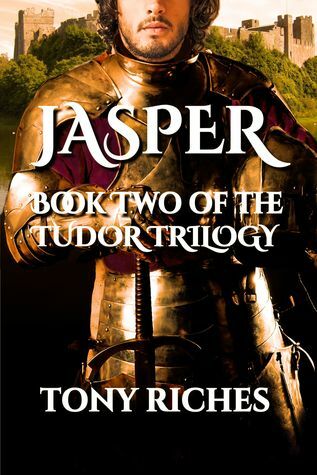 It’s expertly planned; I was particularly interested to see how Tony Riches would write about events during which Jasper was far away and out of touch, like Warwick’s change of allegiance, but he did this most convincingly, using the fictional Gabriel, an Irish mercenary who becomes a close friend of the hero, as a reporter of events. Similarly, the disintegration of the Yorks following the death of Edward IV is cleverly accounted for via the messengers who visit Jasper during his exile in Brittany. I also enjoyed the first appearance of the Duke of Buckingham, whose son causes trouble for Henry VIII, and of other characters who appeared as Plantagenet made way for Tudor. In my opinion this is a book for those who already know something of the history, as there are so many names and changing allegiances that, even being quite well versed in this period as I am, I had to stop and think a few times about who was who. This isn’t Riches’ fault; he has dealt with a long and complicated story admirably. On occasion I got confused about the passage of time and felt that there needed to be a gaps in the formatting of paragraphs to indicate that a year or so had passed, but I’ve rarely read a book of this length, covering so many events over a long period, that conveys the passing of years perfectly. To all avid readers of books such as the Game of Thrones series, I’d say ‘read this too!’ ~ it’s every bit as magical, every bit as exciting—and it really happened! Loved it; highly recommended, a real achievement, and I’d just like to say that the author’s note at the end brought a tear to my eye. I shall be the first in the queue for the final part of the trilogy (and plan to read ‘Warwick’ in the meantime! ).